Our new Crack Width Card is designed specifically to measure widths and locations of cracks prior to beginning a monitoring program. 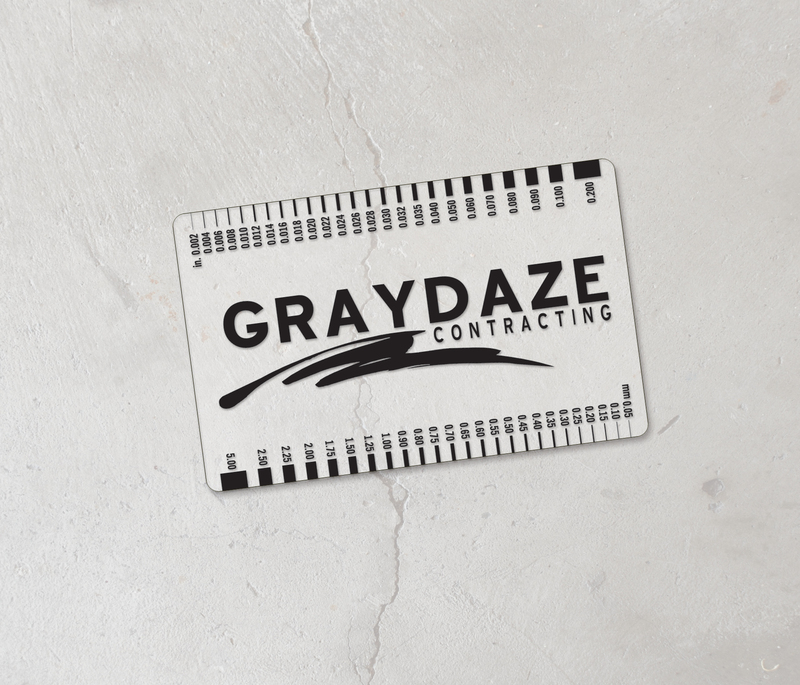 Excellent business card for contractors, cement companies, manufacturing, etc. which will be used; giving this business card retention! weight: .030 Clear Plastic / size: 3-3/8" x 2-1/8"
This product is available for Rush Production & 24 Hour Lightning Production. Ad Copy Area: 3-1/8" x 1-7/8"
Production: 10 working days from proof approval.